An analog device is one in which the output or display is a continuous function of time and bears a constant relation to its input. The analog instruments ﬁnd extensive use in present-day applications although digital instruments are increasing in number and applications. The areas of application which are common to both analog and digital instruments are fairly limited at present. Hence, it can safely be predicted that the analog instruments will remain in extensive use for a number of years and are not likely to be completely replaced by digital instruments for certain applications. Instruments depend for their operation on one of the many effects produced by current and voltage and thus can be classiﬁed according to which of the effects is used for their working. Indicating Instruments are those instruments which indicate the magnitude of a quantity being measured. They generally make use of a dial and a pointer for this purpose. Ordinary voltmeters, ammeters and wattmeters belong to this category. 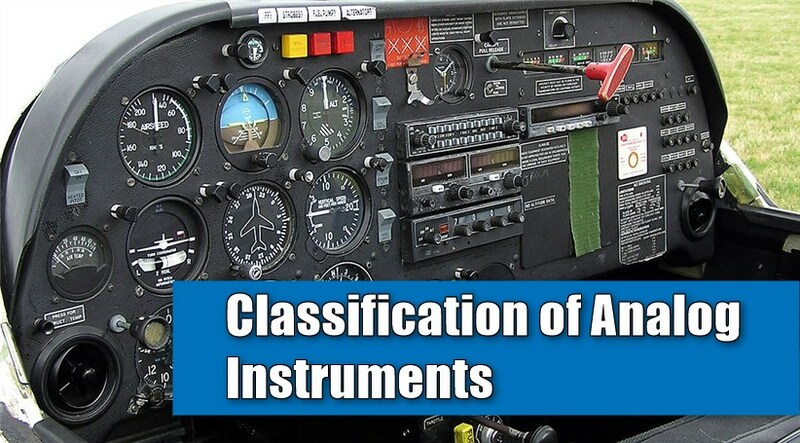 Electronic instruments are constructed by addition of electronic circuits to electromagnetic indicators in order to increase the sensitivity and input impedance. Recording Instruments give a continuous record of the quantity being measured over a speciﬁed period. The variations of the quantity being measured are recorded by a pen (attached to the moving system of the instrument ; the moving system is operated by the quantity being measured) on a sheet of paper carried by it rotating drum. For example, we may have a recording voltmeter in a sub-station which keeps record of the variations of supply voltage during the day. Integrating Instruments totalize events over a speciﬁed period of time. The summation, which they give is the product of time and an electrical quantity. Ampere hour and watt hour (energy) meters are examples of this category. The integration (summation value) is generally given by a register consisting of a set of at pointers and dials. These instruments convert the energy of the measurand directly into energy that actuates the instrument and the value of the unknown quantity is measured or displayed or recorded directly. The examples of this class of instruments are ammeters, voltmeters, wattmeters and energy metres. These instruments measure the unknown quantity by comparison with a standard. The examples of comparison type instruments are DC and AC bridges. Comparison instruments are used in cases where a higher accuracy of measurement is required. The animated video below explains the working of a moving coil instrument.